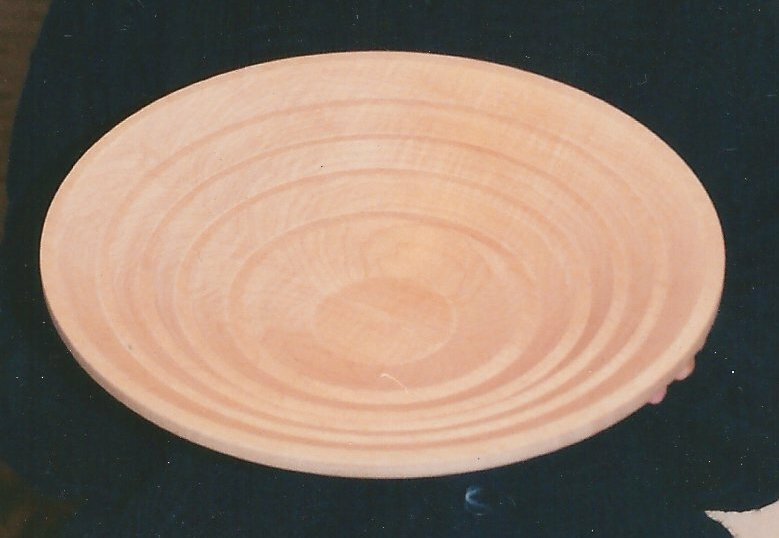 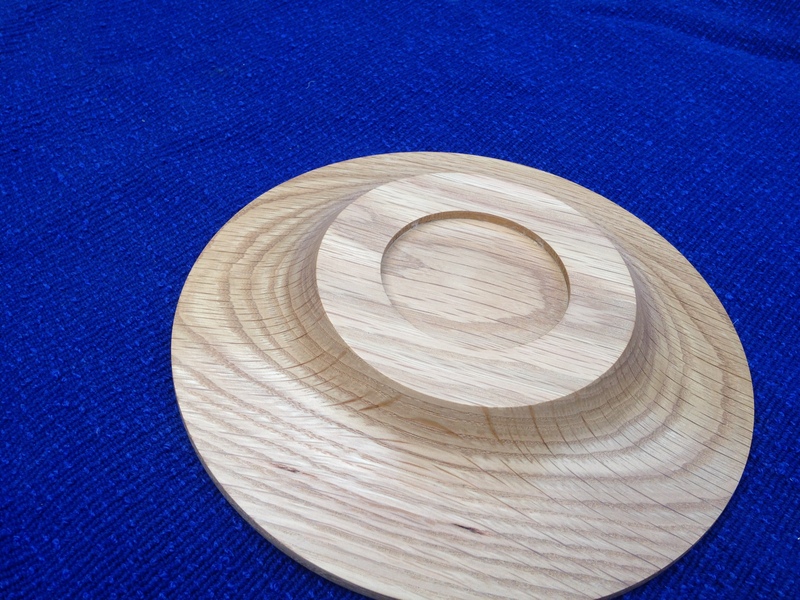 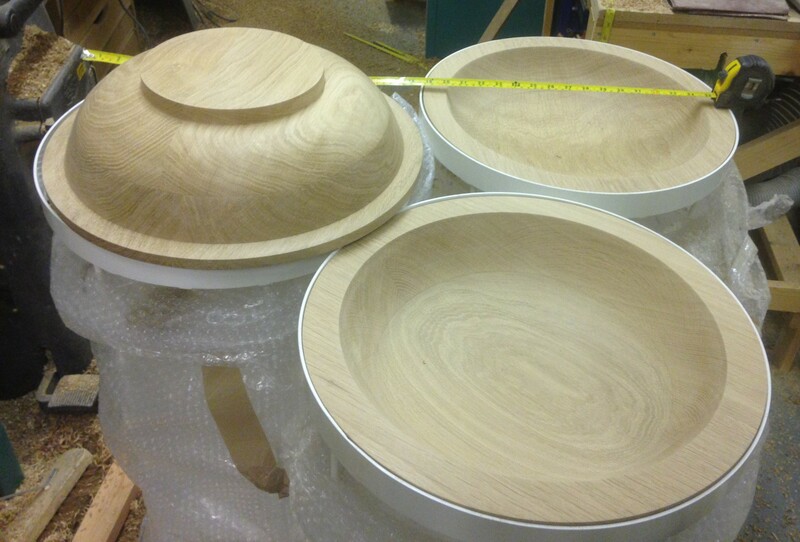 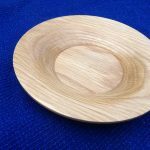 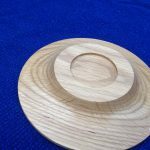 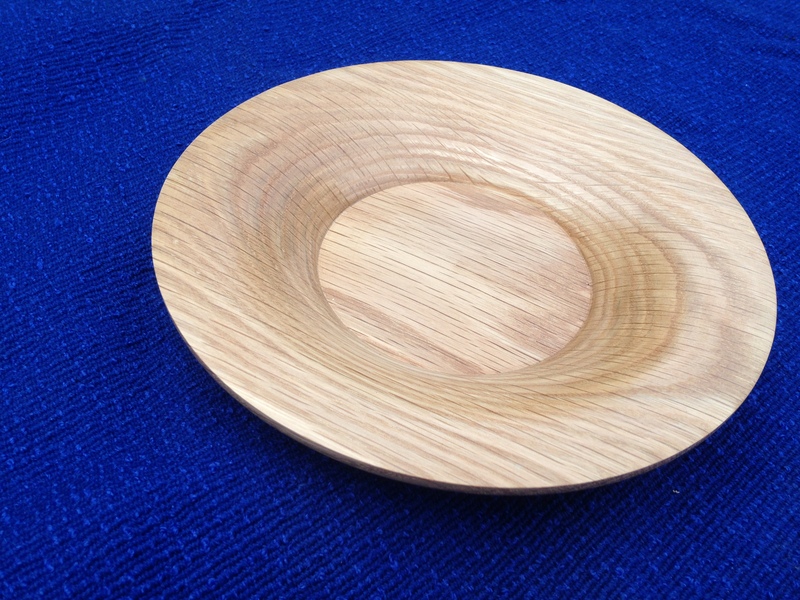 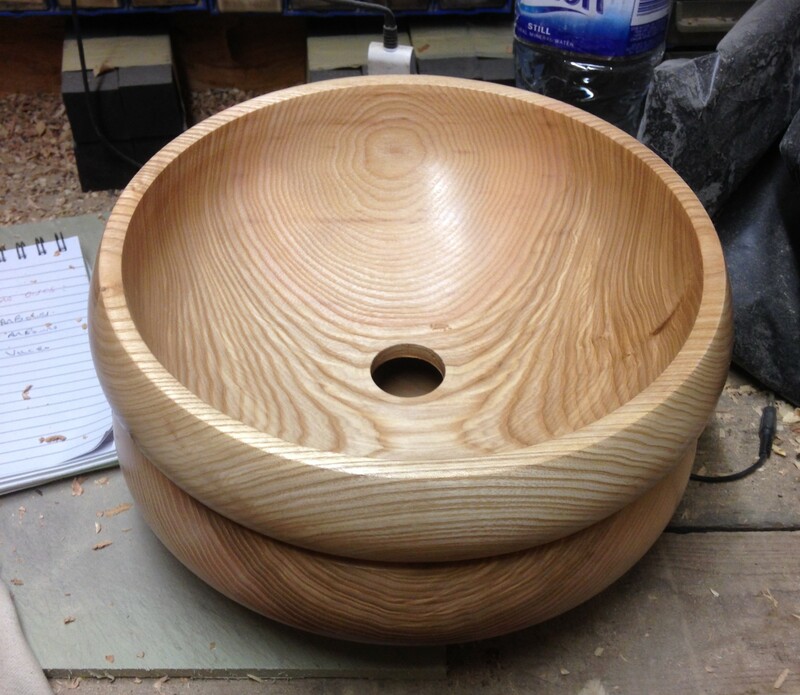 Wooden bowls come in a range of sizes and appearances from completely turned to with a natural edge and varying timbers .Phil has years of experience to bring out the best from each piece of timber.What must be born in mind is the finish if it is to be used for food which is in direct contact such as a salad bowl a” food safe” finish must be used. 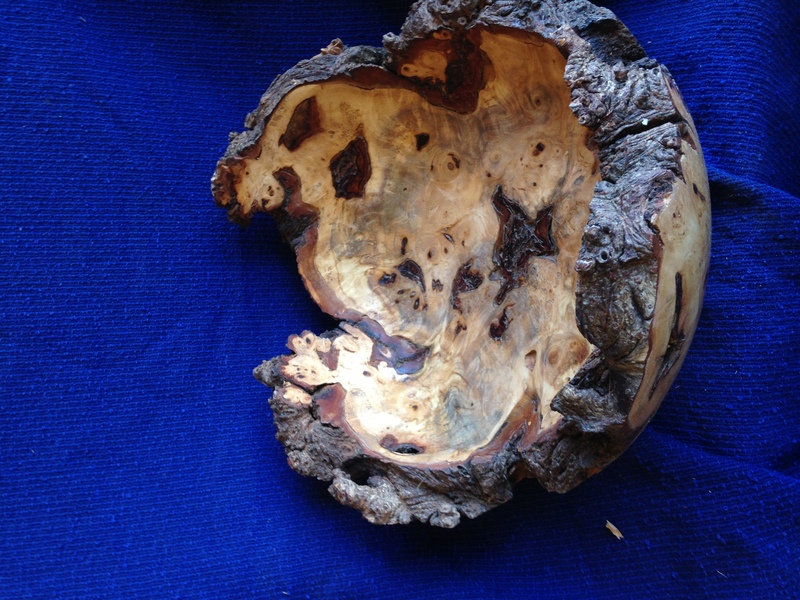 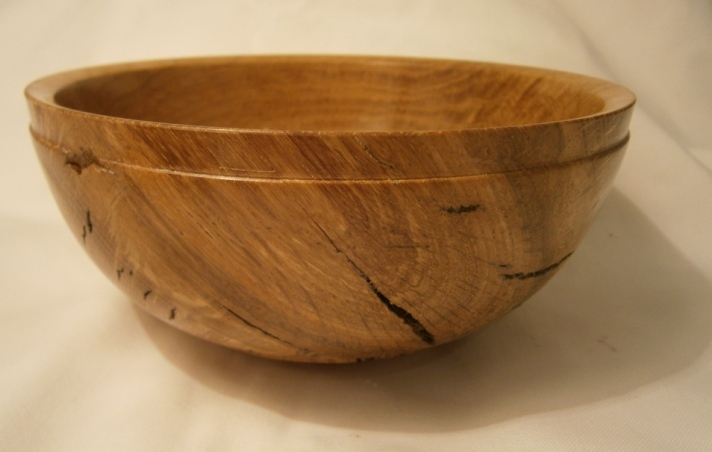 Very often bowl are made as a comission from a loved tree that has had to be removed.When this is the case the bowl has to be turned quite thin as the wood is Green(wet and unseasoned). 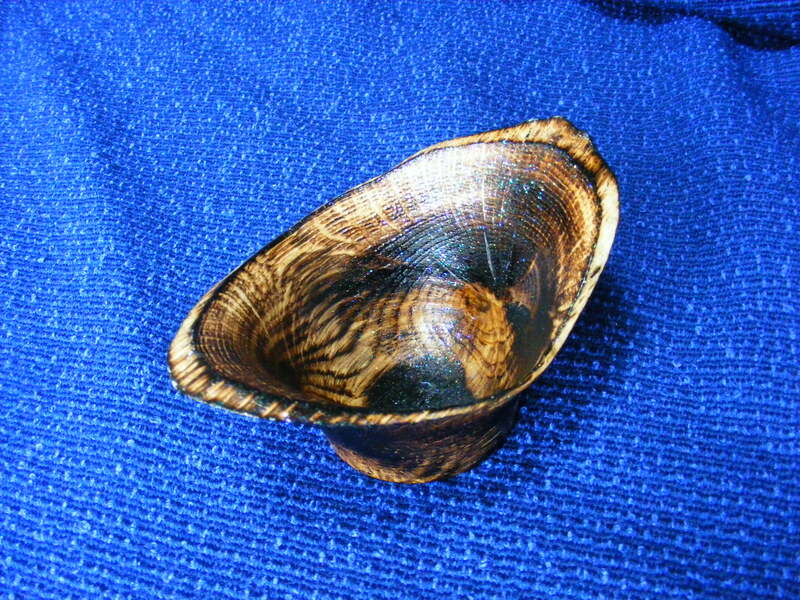 By turning a bowl to a thin section the bowl can dry easier. 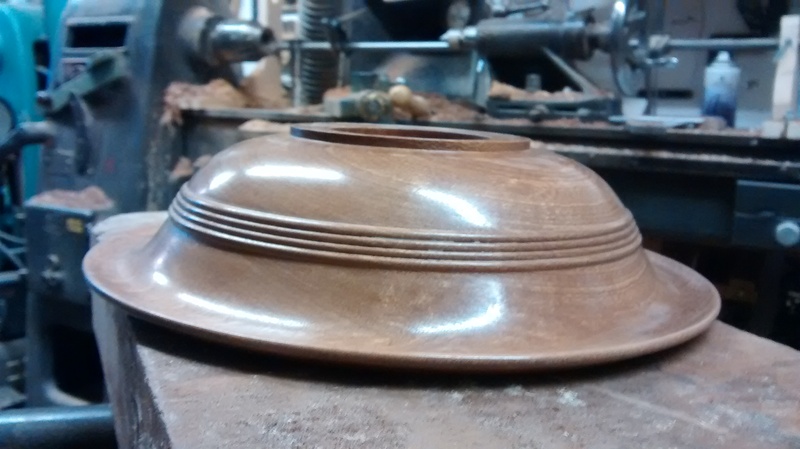 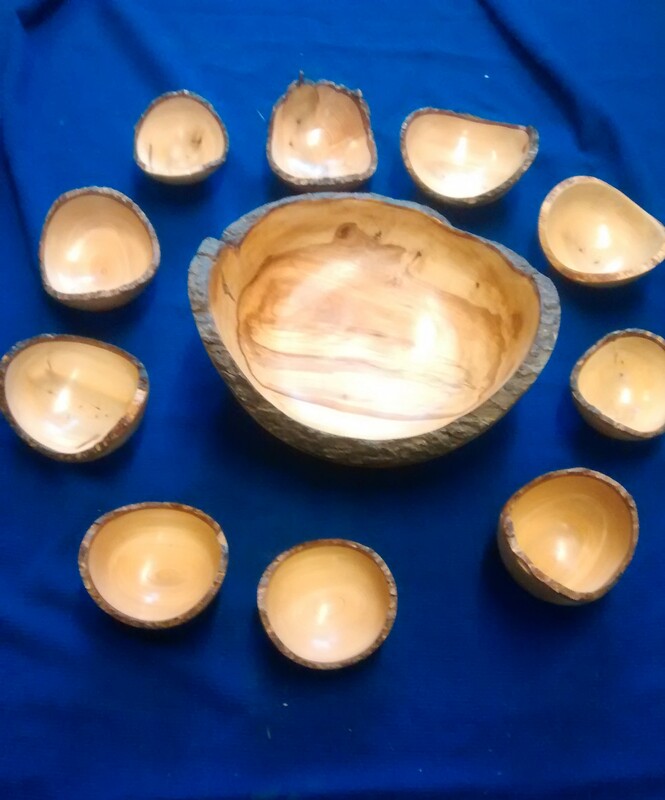 There is always the risking of cracking after turning useing this method and also of distortion where the timber moves in the drying process.I believe that this enhances the appearance of the bowl.He has even turned wooden light shades to order.